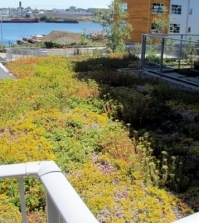 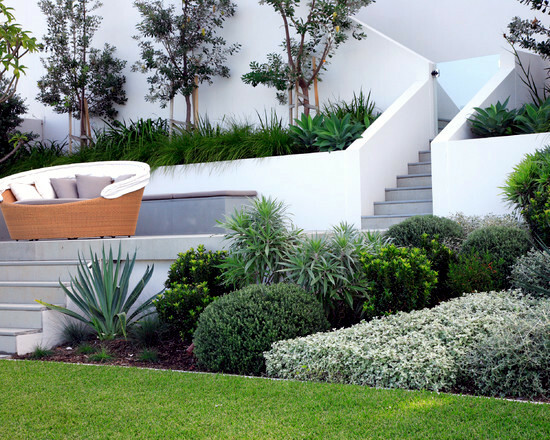 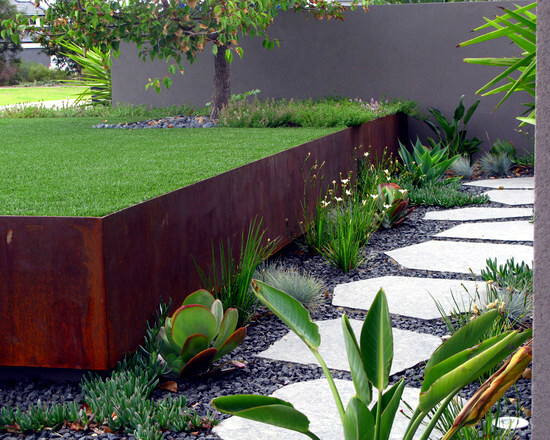 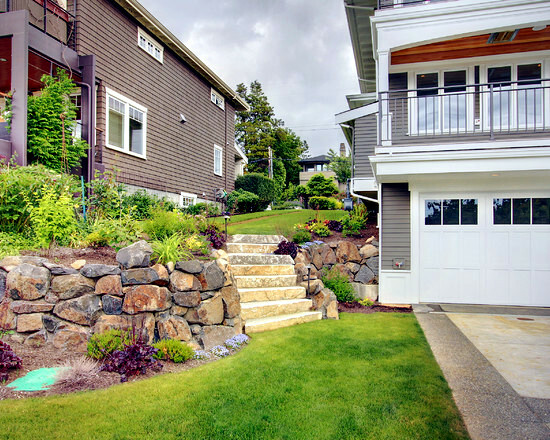 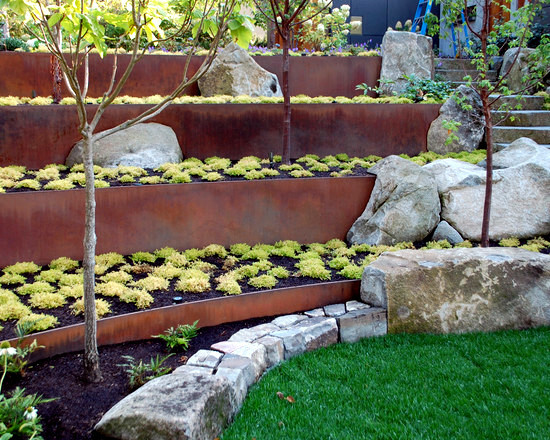 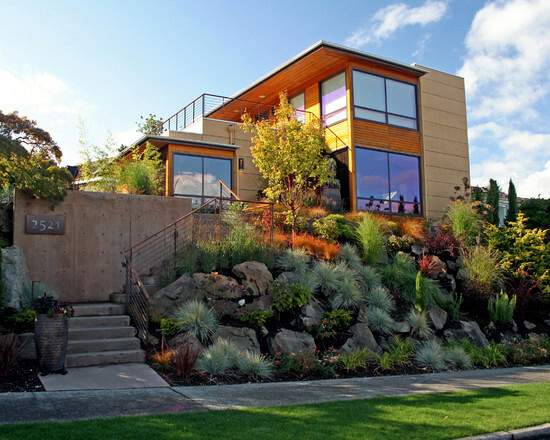 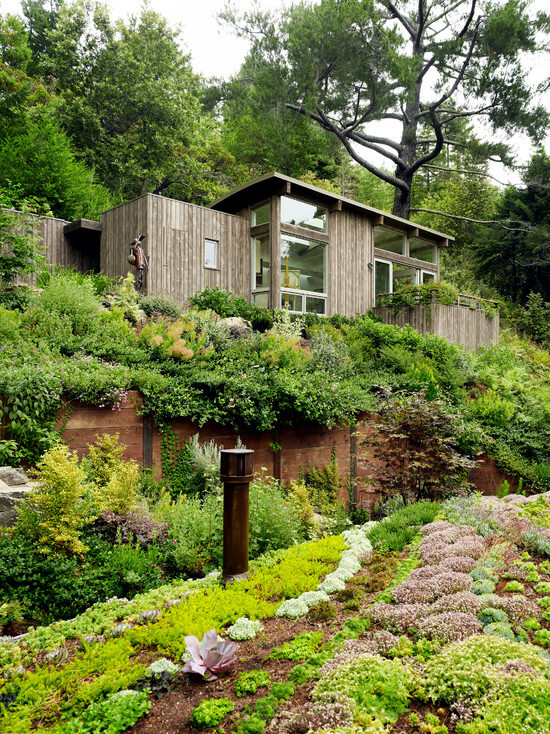 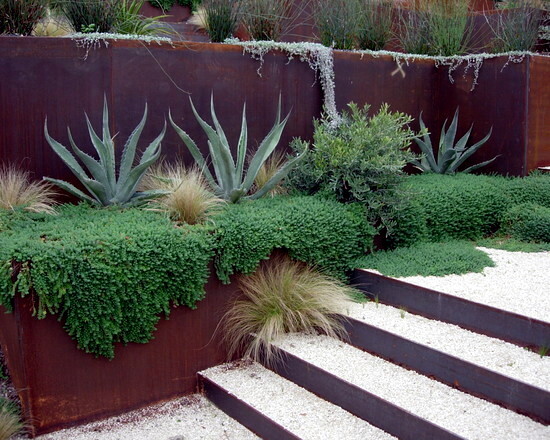 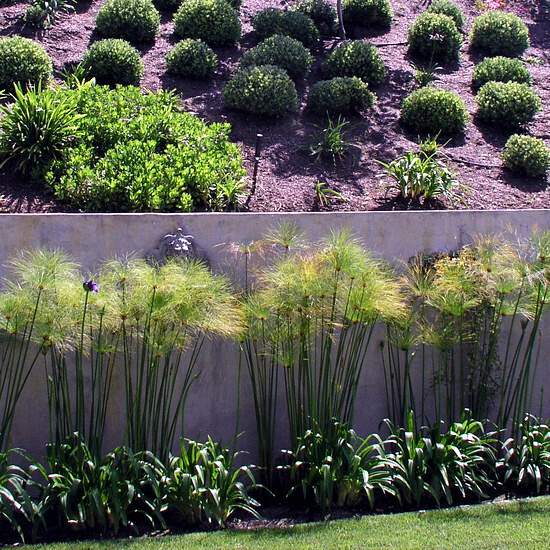 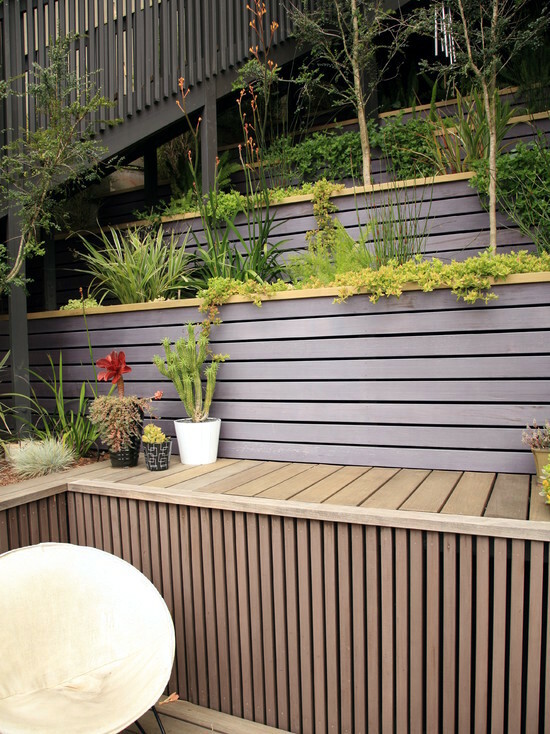 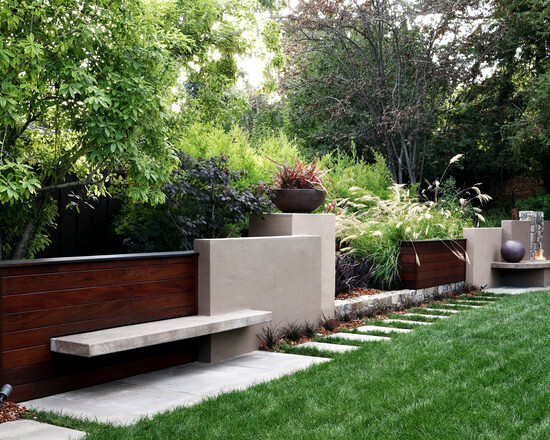 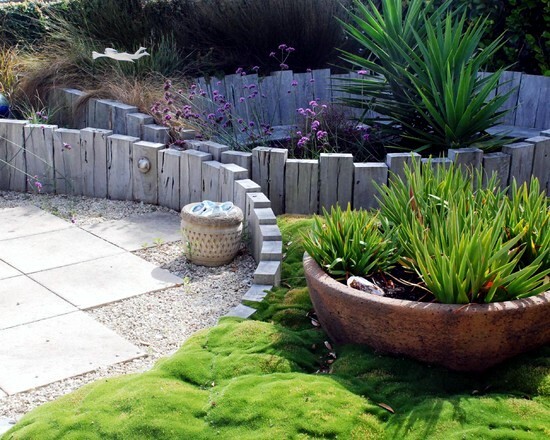 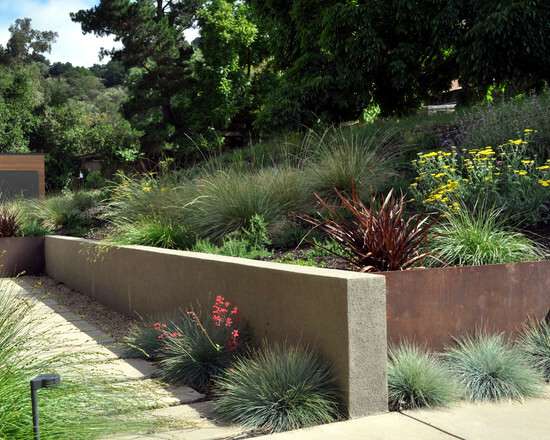 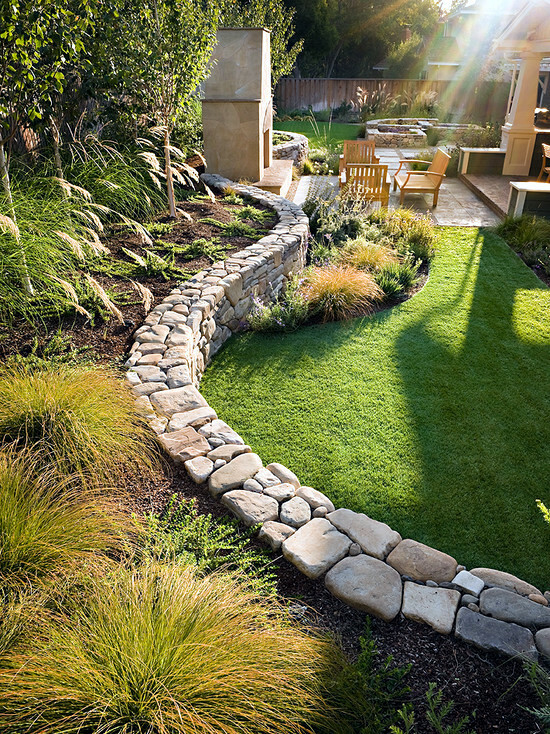 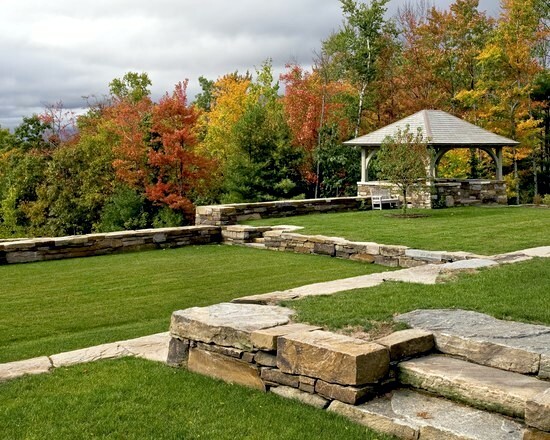 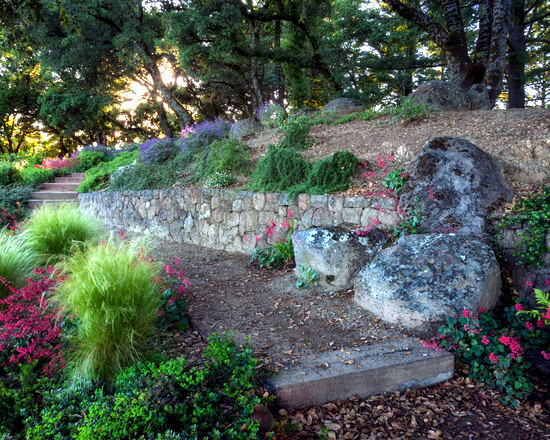 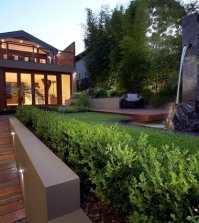 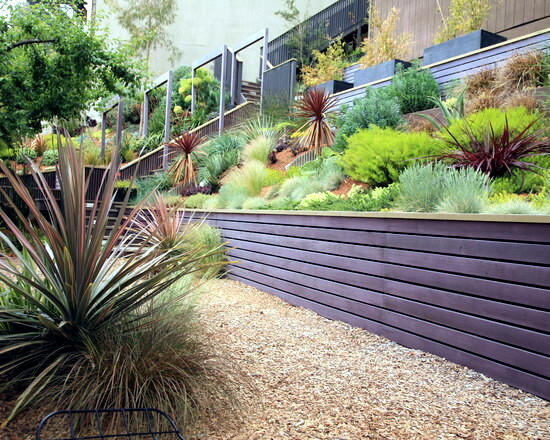 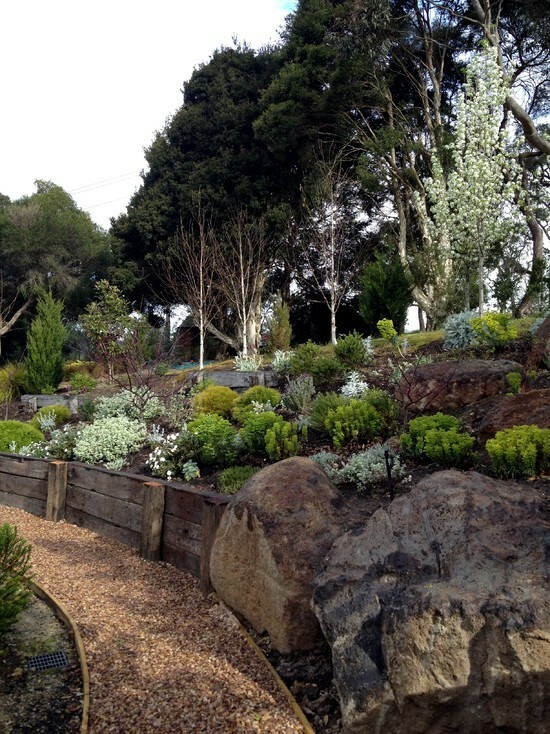 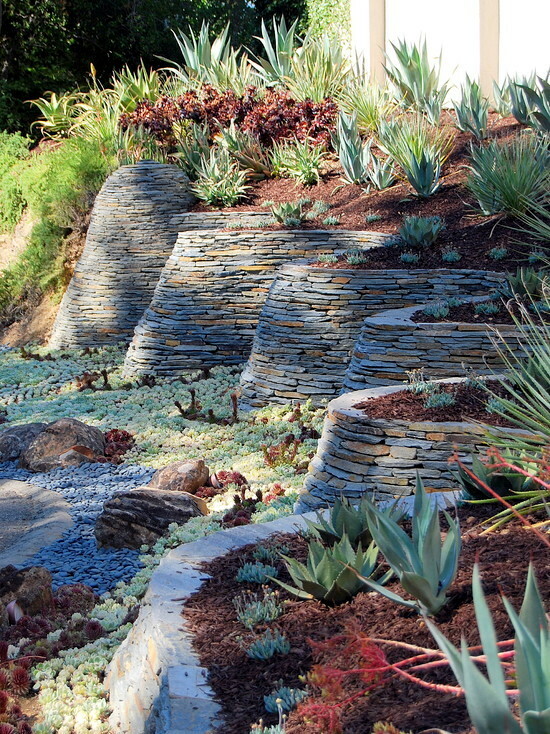 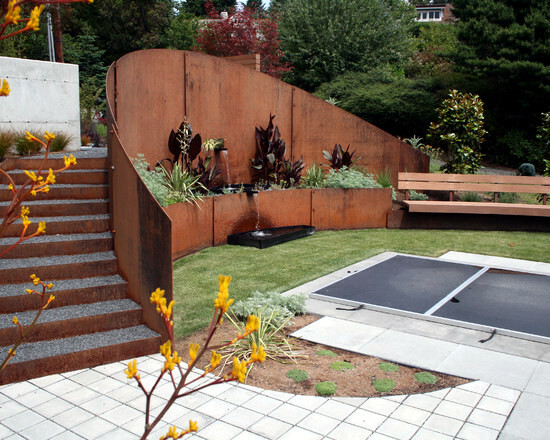 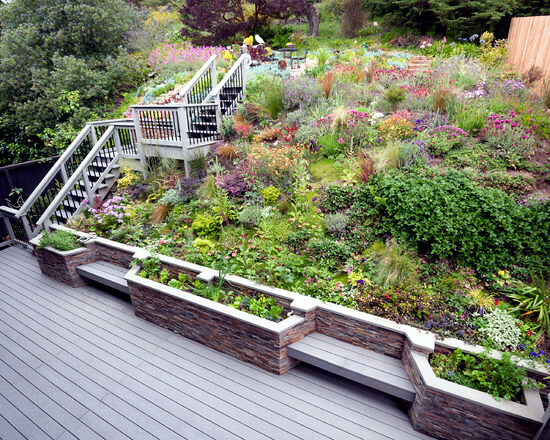 Home > Garden Design > 79 ideas to build a retaining garden wall – slope protection. 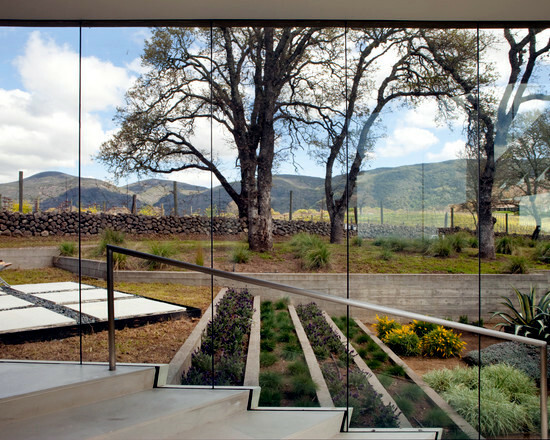 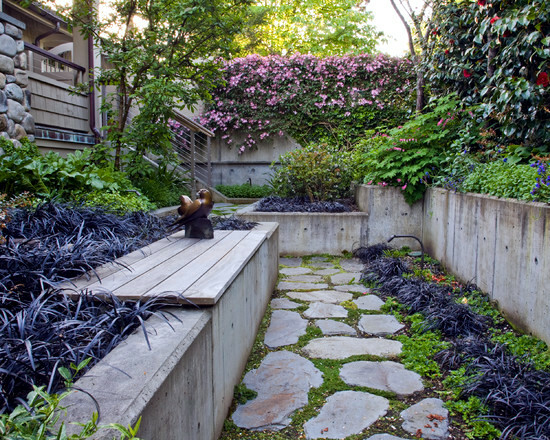 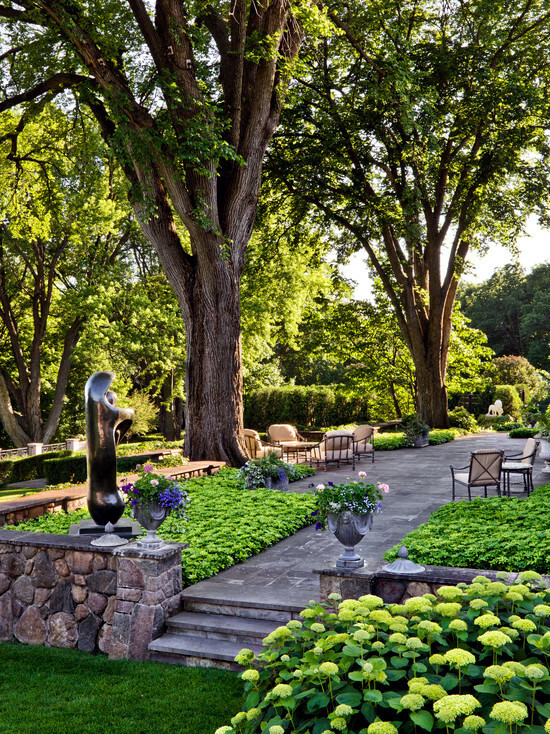 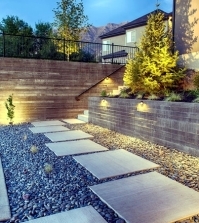 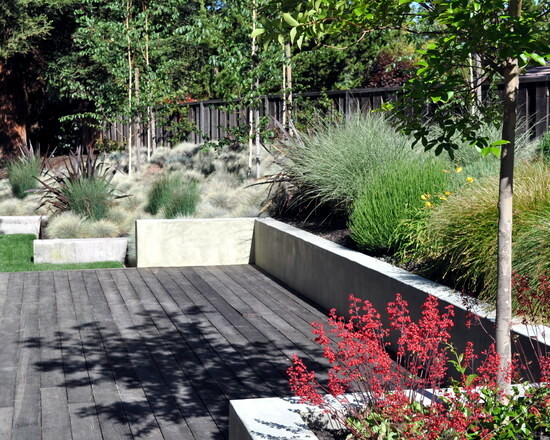 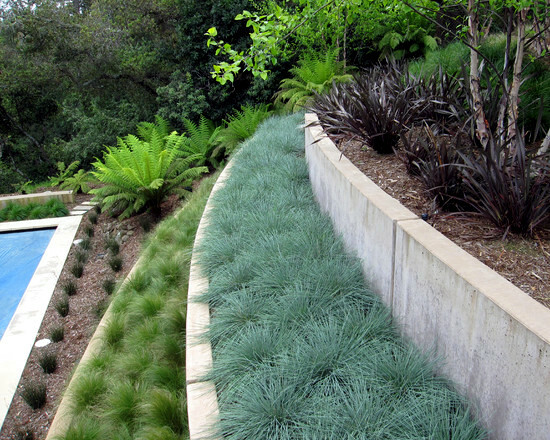 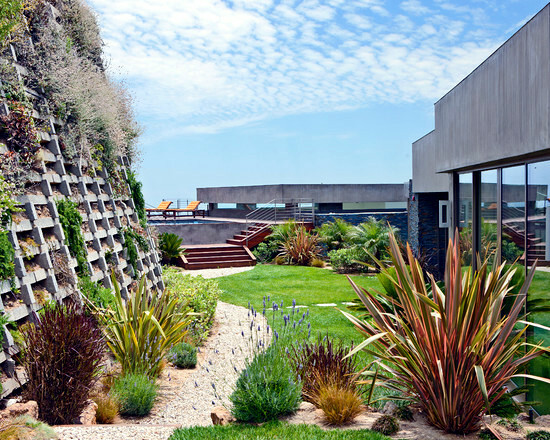 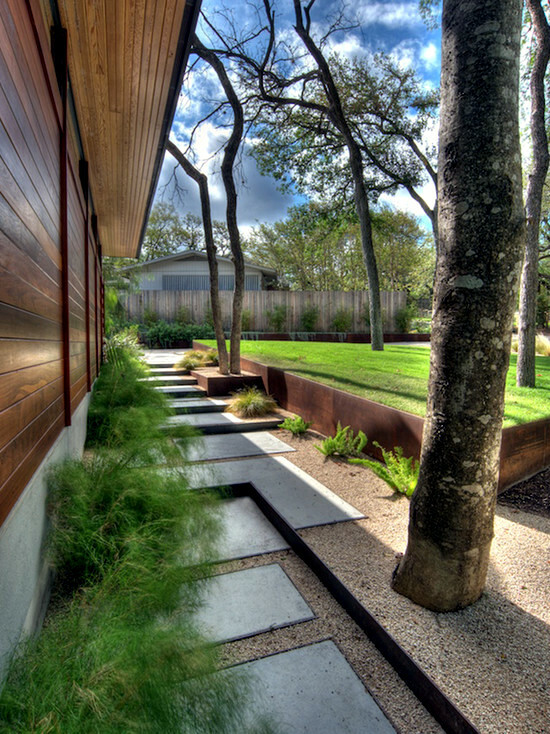 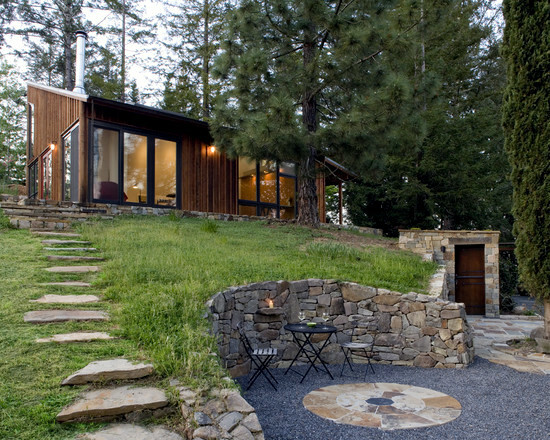 The retaining wall in the garden is a fundamental architectural and landscape feature. 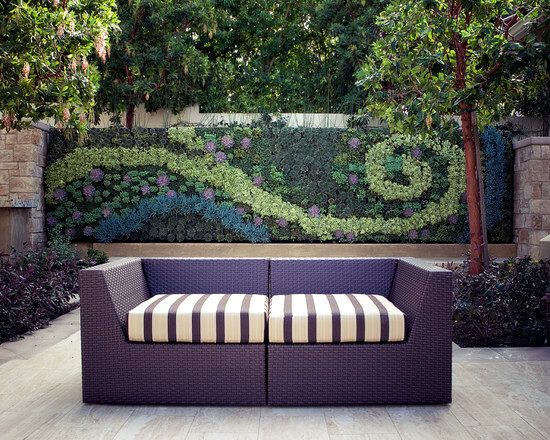 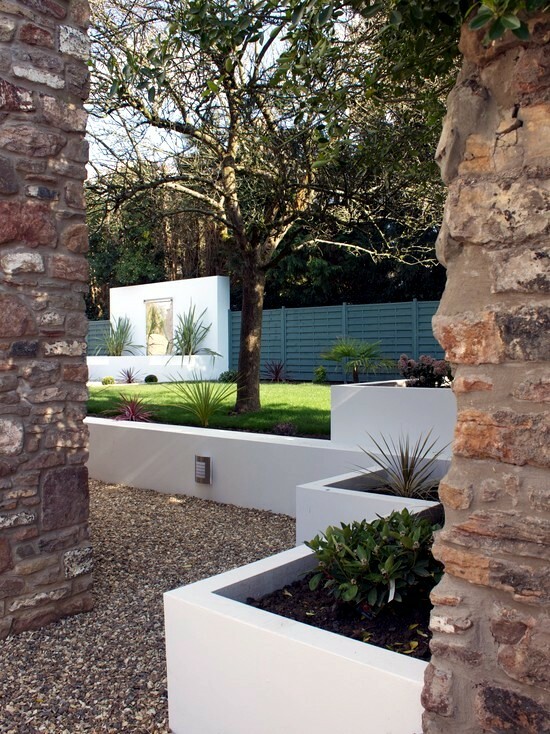 When you configure the wall the garden space will look better as a result. 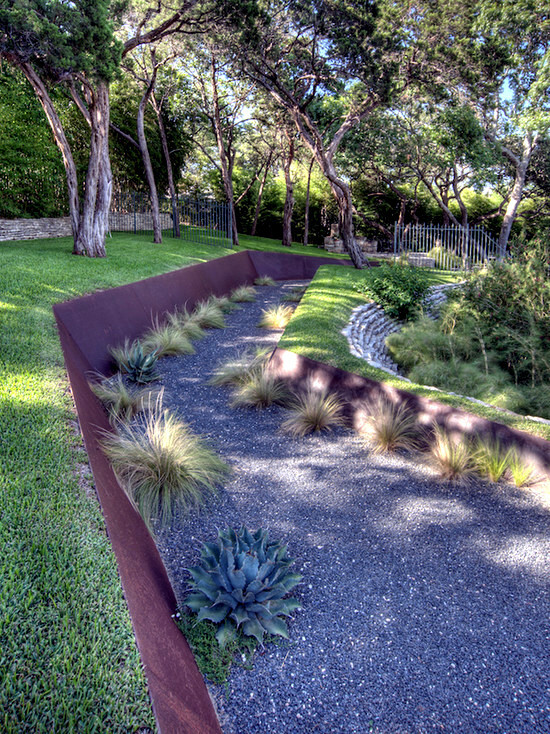 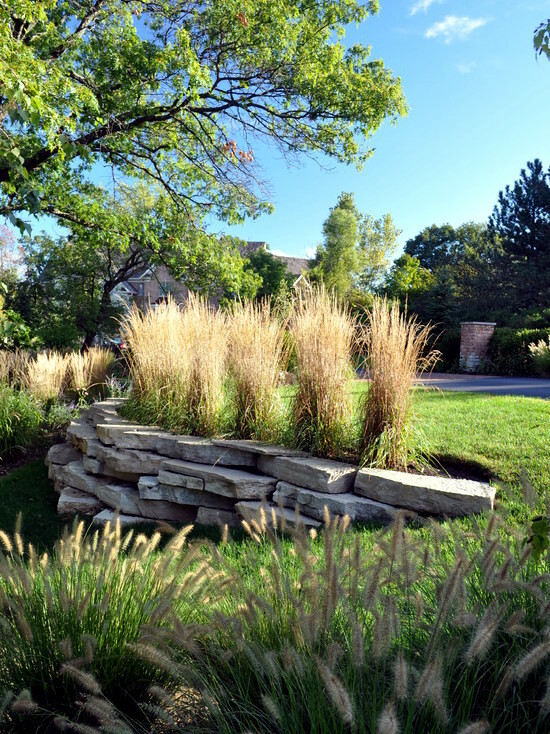 Since retaining walls are usually not noticeable, and only sometimes visible, many garden owners opt for inexpensive materials. 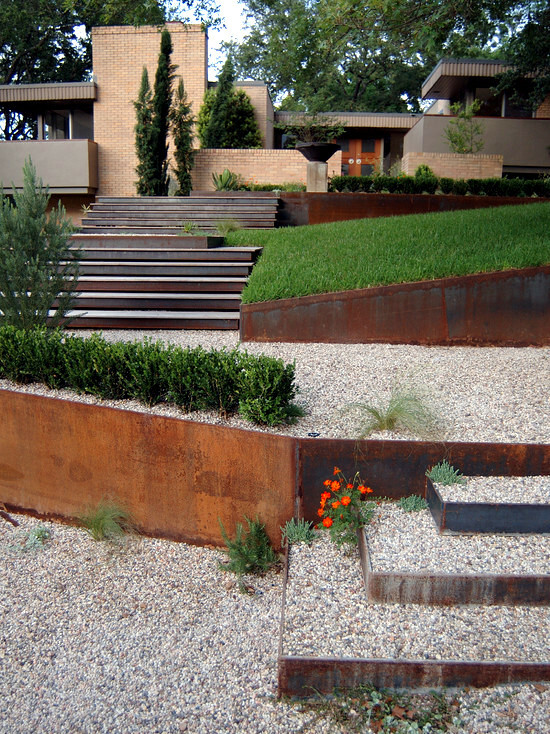 However, no compromise in terms of stability can be permitted. 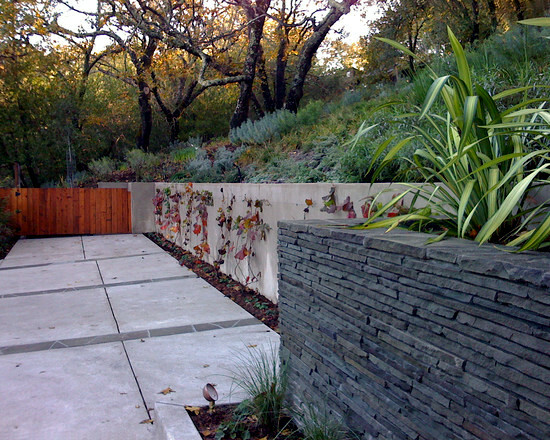 Garden retaining wall - multiple options. 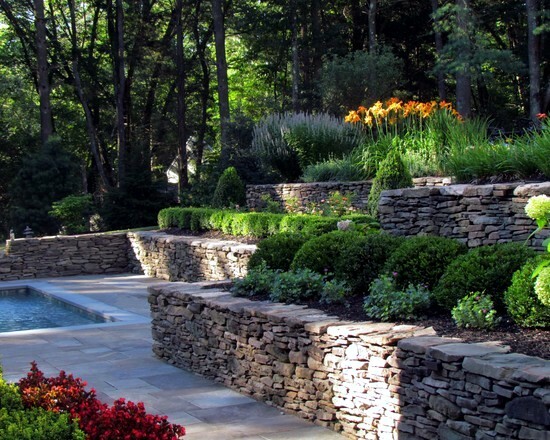 A retaining wall in the garden can be built in granite, gneiss, sandstone and other different materials. 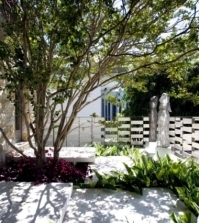 In practice most stützmauer art are made from drywall and have been an important aspect of European homes in this form since time immemorial. 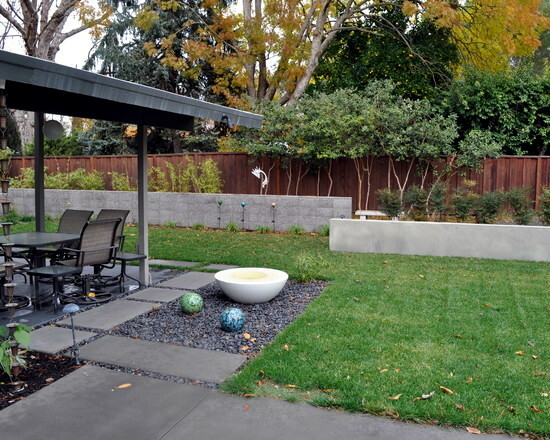 Drywall is made of stones such as limestone which are a cheaper alternative to stone. 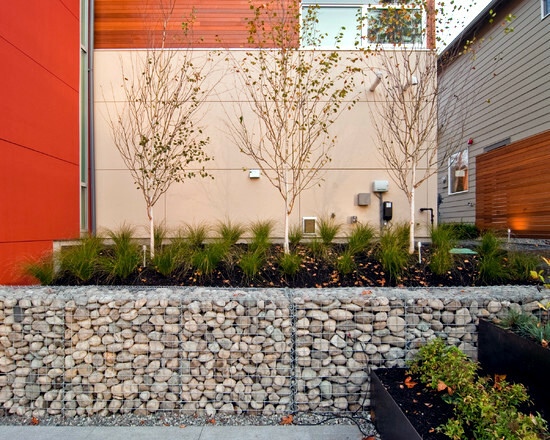 A positive effect of the small stones is that they bring a greatly refined look to the garden wall. 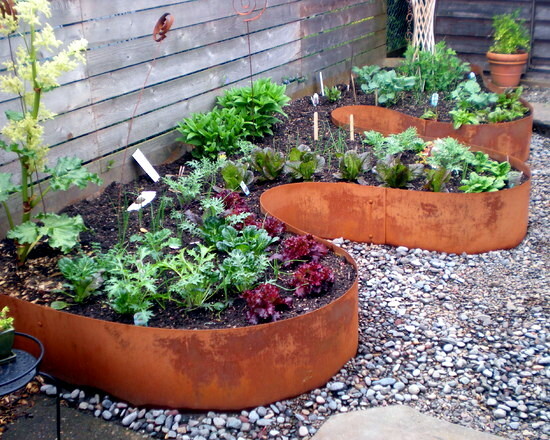 One way to reduce the cost is to use second hand or used materials. 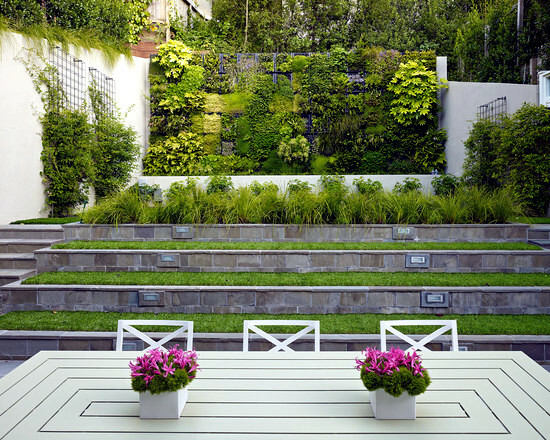 A bit of brick visible in your drywall makes your very own green oasis all the more beautiful and complete. 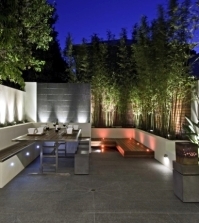 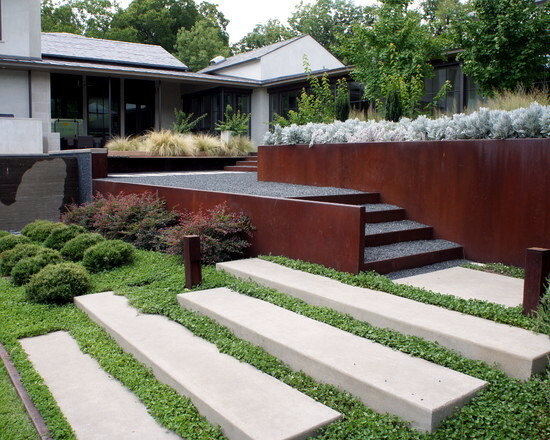 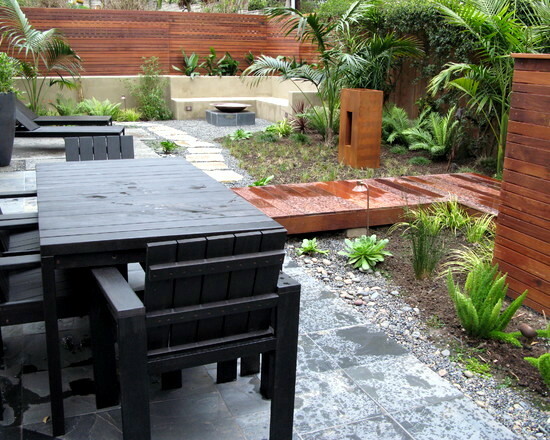 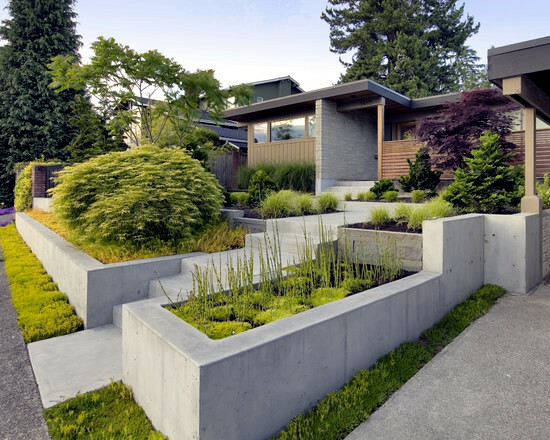 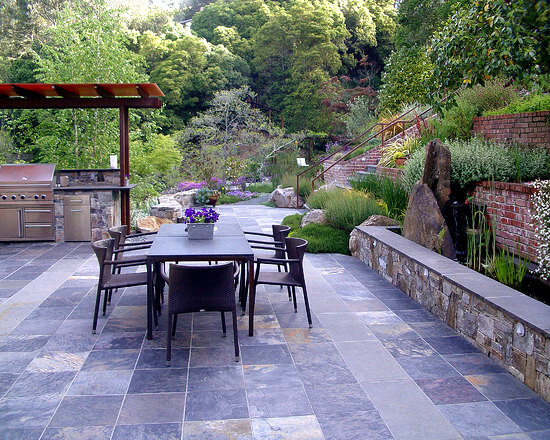 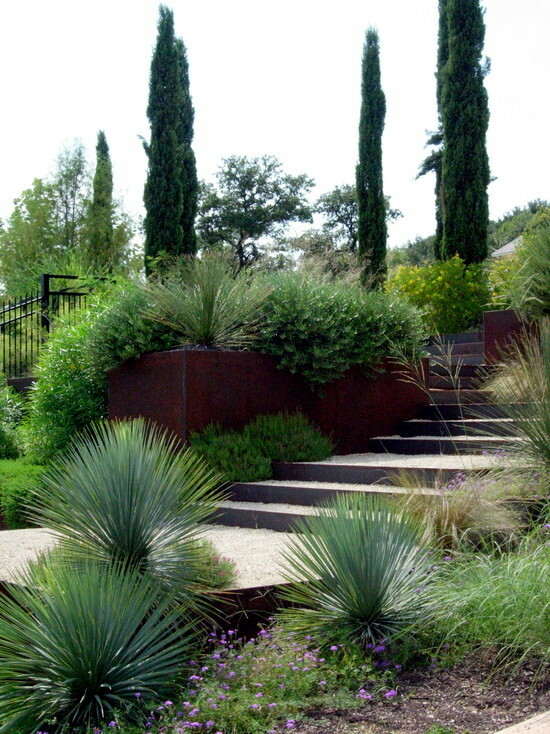 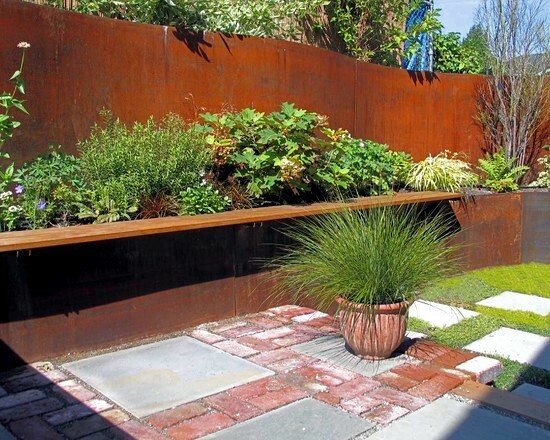 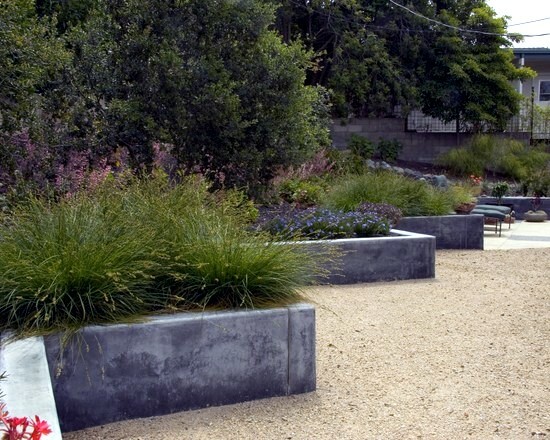 Concrete can be used to create modern, elegant and effective design in your garden. 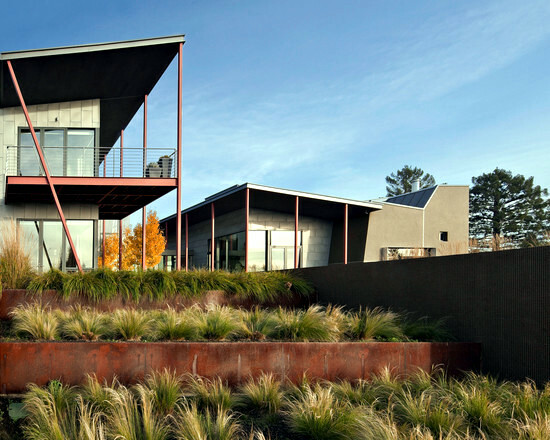 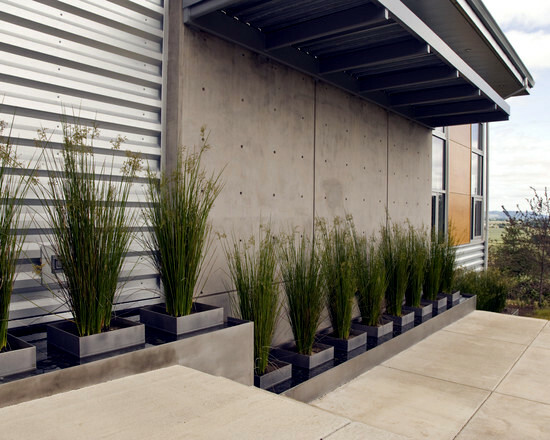 Industrial concrete combined with minimalist architecture is incredibly effective. 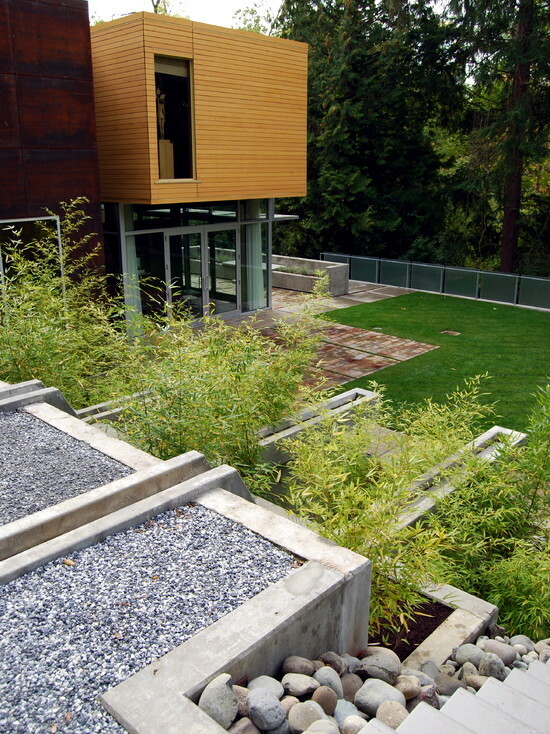 This is also a good way so strengthen structures when a slope is involved. 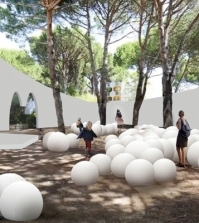 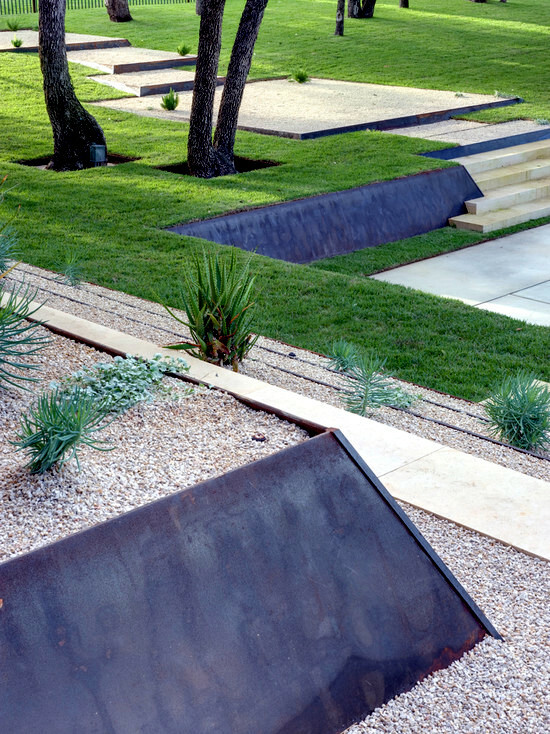 Playful design can create flat surfaces in many different forms. 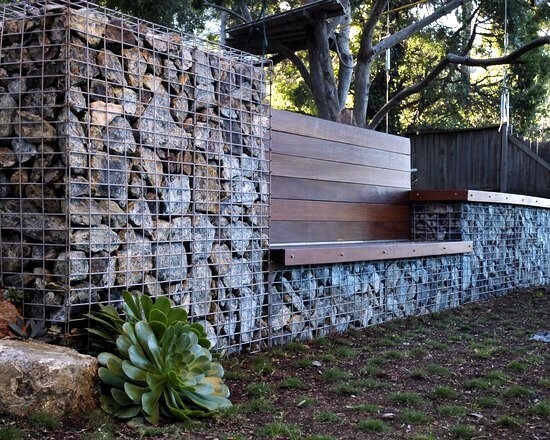 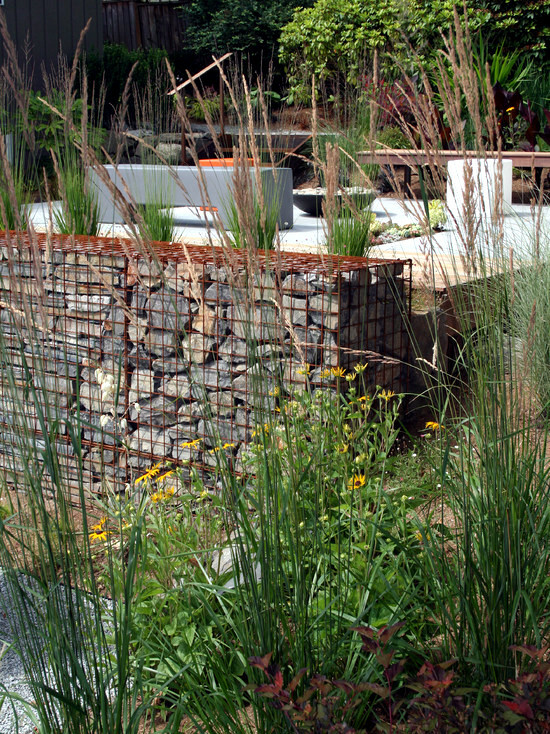 An alternative to retaining walls are typically metal mesh gabion baskets filled with stones. 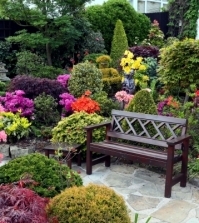 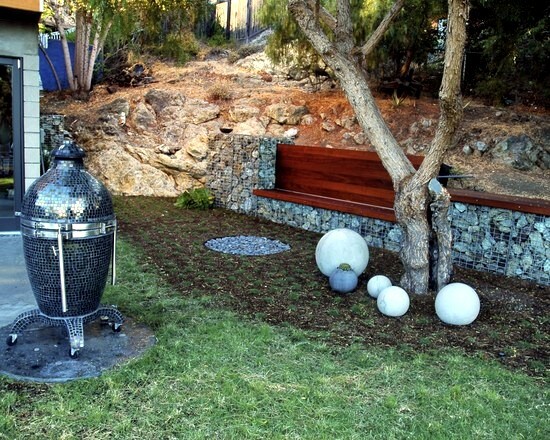 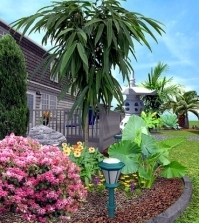 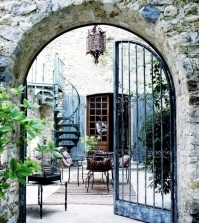 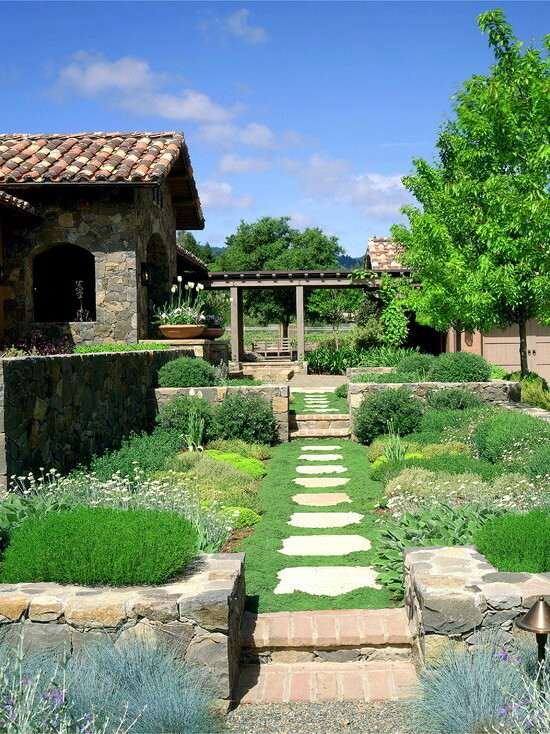 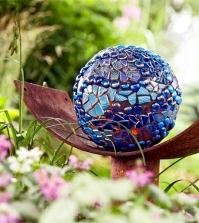 These present different options for introducing creative elements to your garden and landscaping. 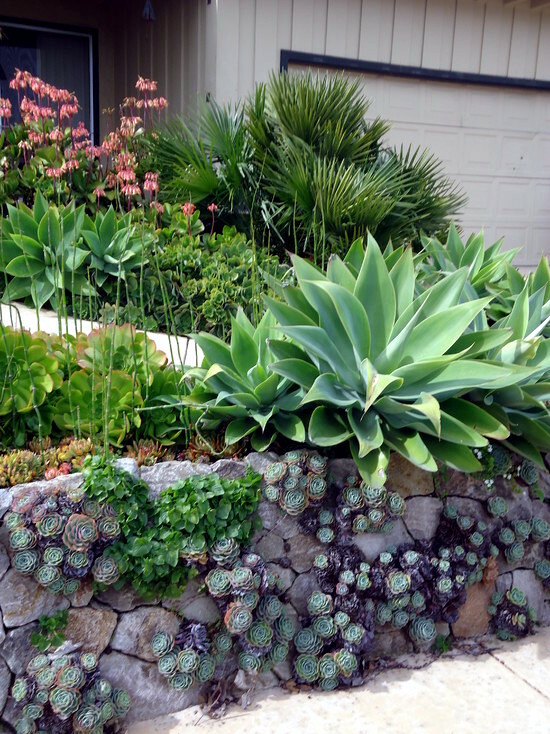 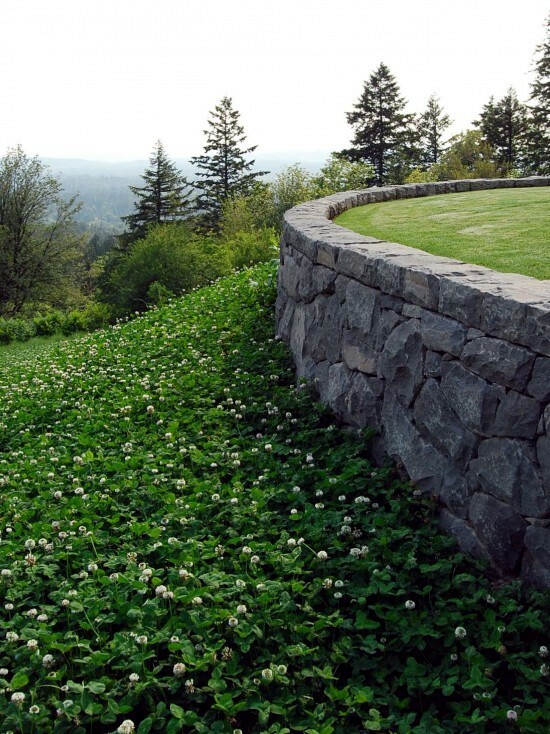 Garden walls with stone embankment - plantable. 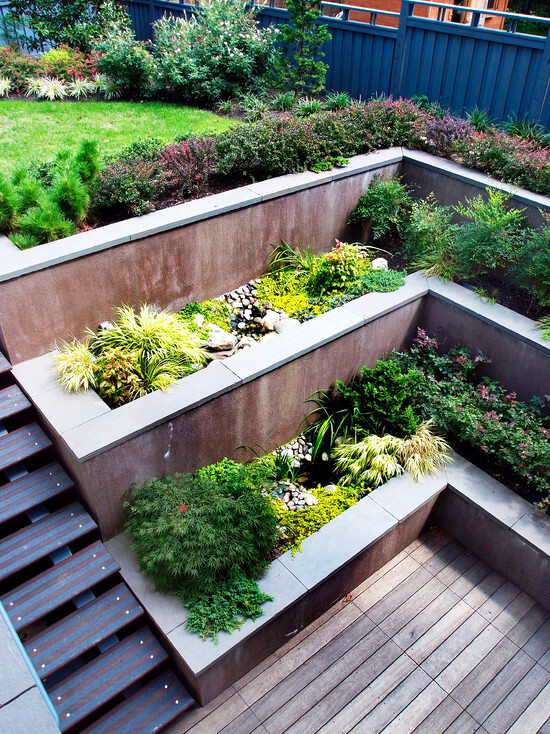 This is a great combination of design and functionality. 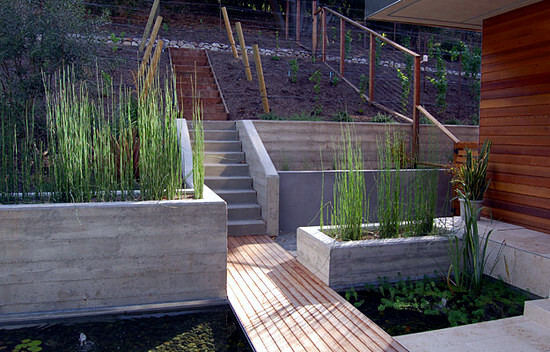 The stairs mask the support. 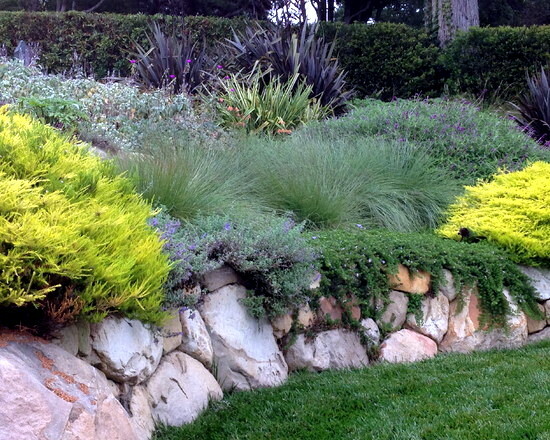 A retaining wall slope secured with blocks. 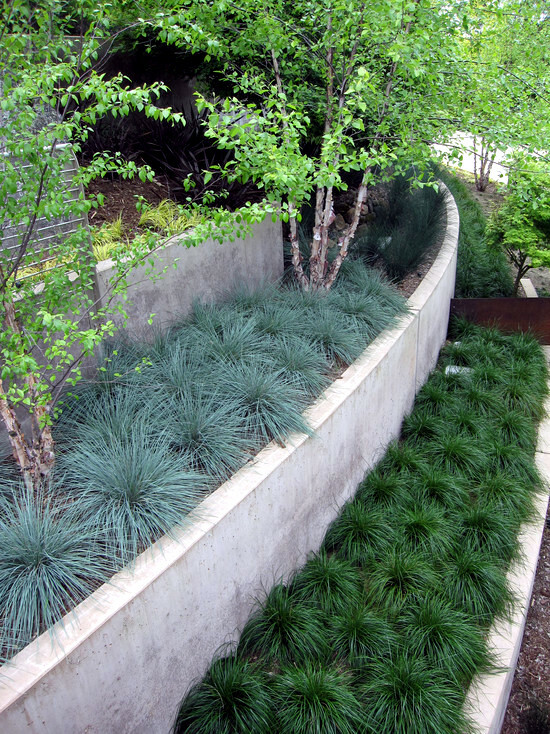 Modern design - garden wall. 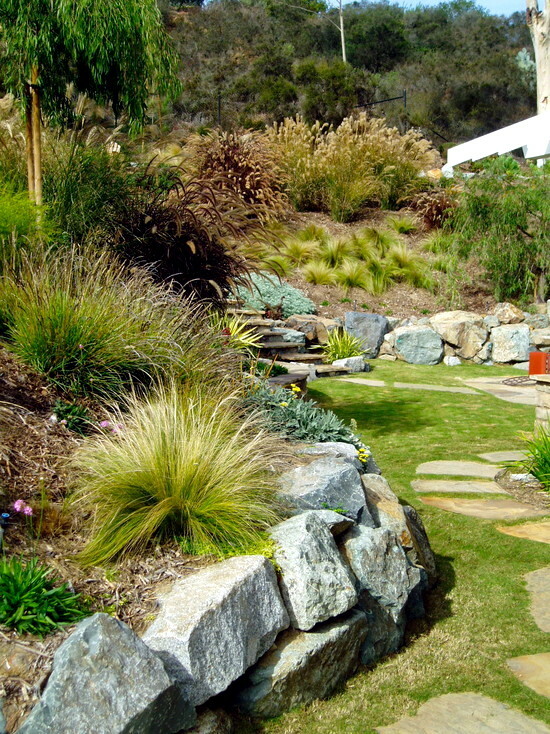 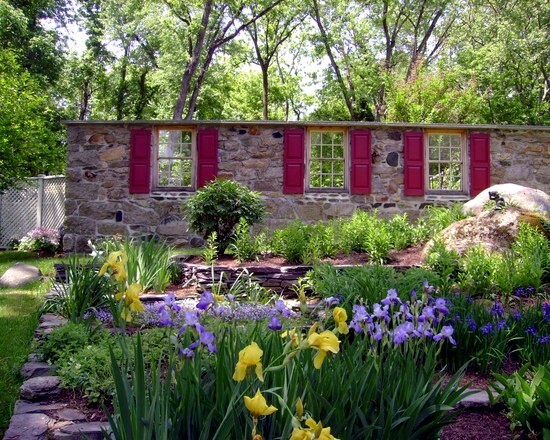 The stones can be placed discretely among greenery. 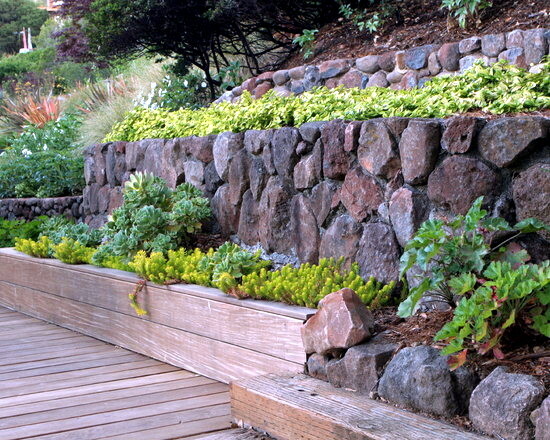 Retaining wall for the garden on a steep hill. 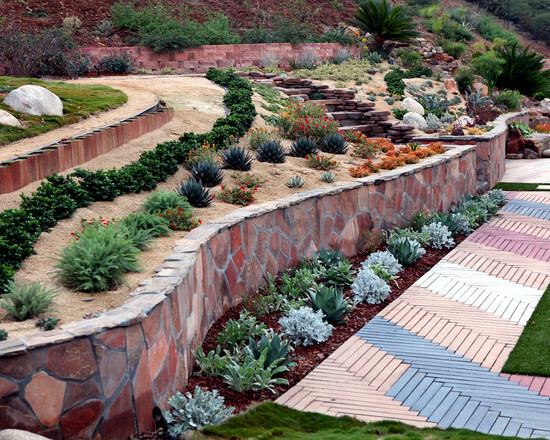 Stone blocks of different sizes stratified. 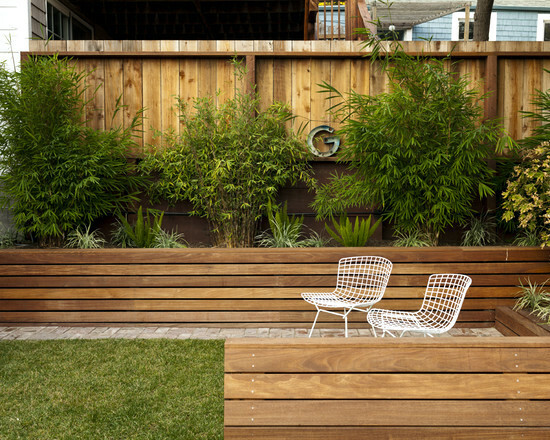 Wood garden wall creates great effect. 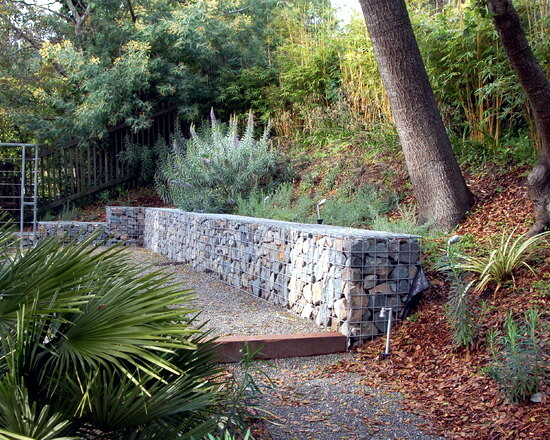 Retaining wall on the garden terrace. 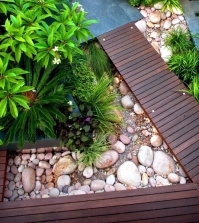 Creative use of space and materials. 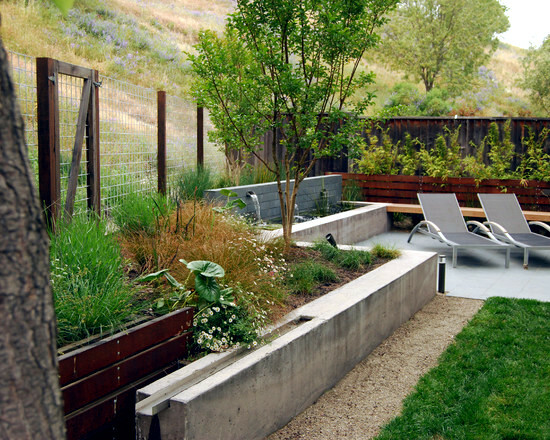 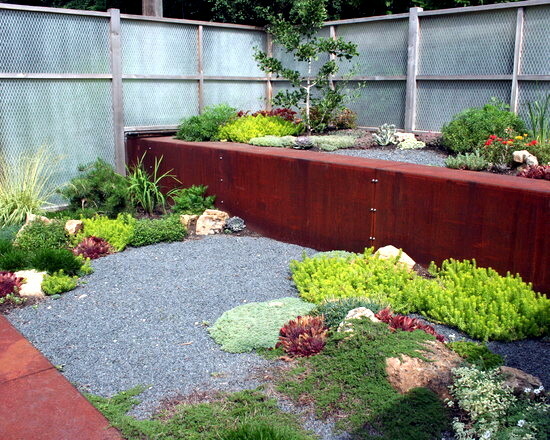 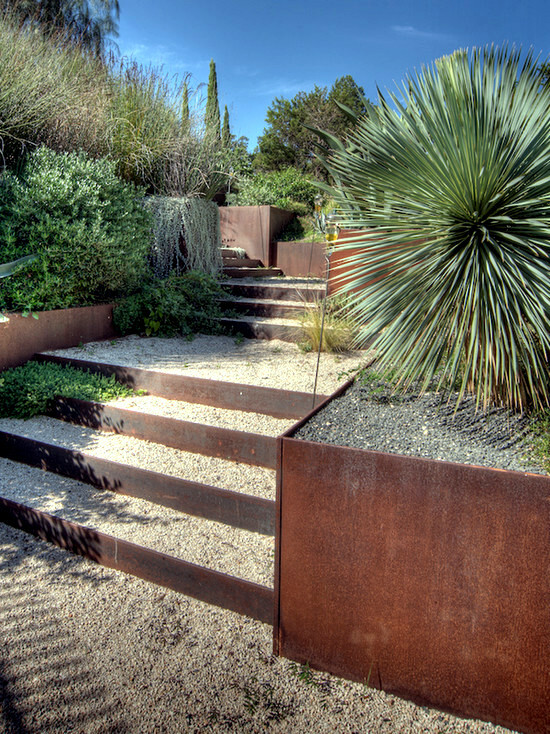 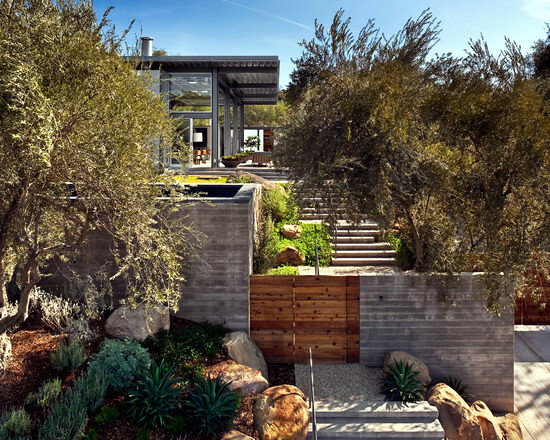 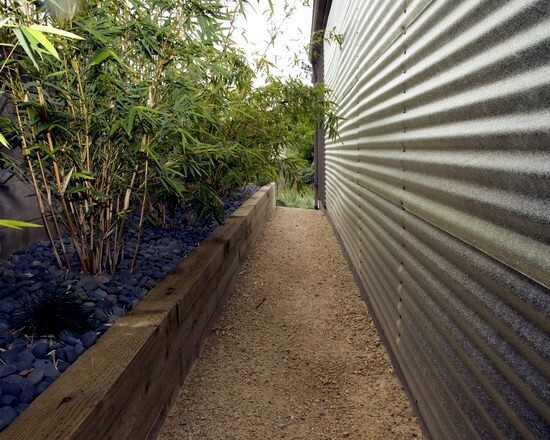 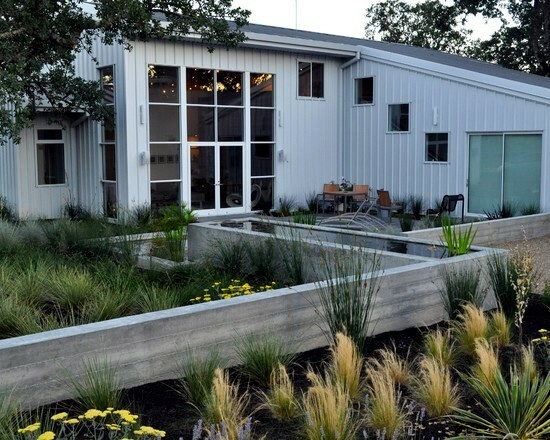 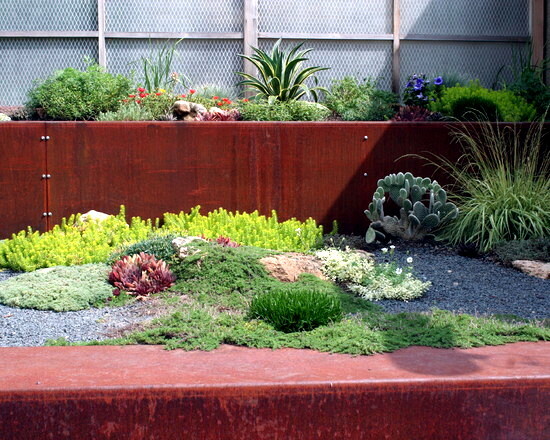 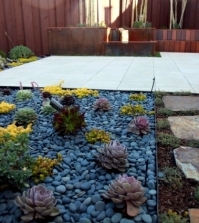 Cement and gravel form this garden. 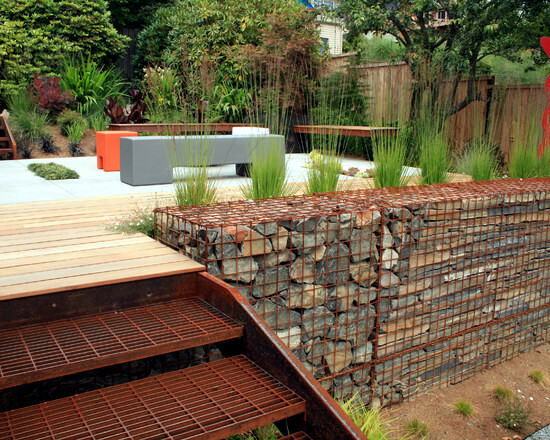 Gabion made beautiful using shapes and sizes. 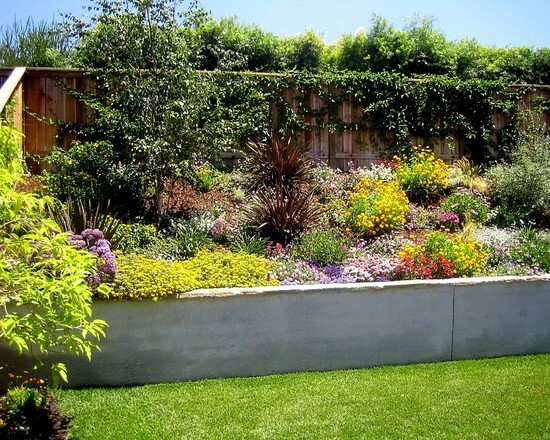 Wall of colorful flowers for great visual impact. 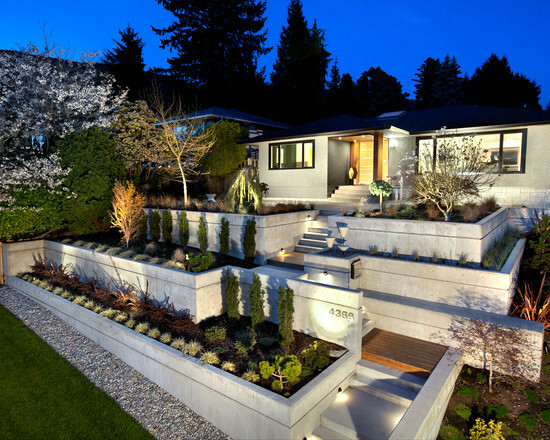 Wall made ​​of concrete blocks produced industrially. 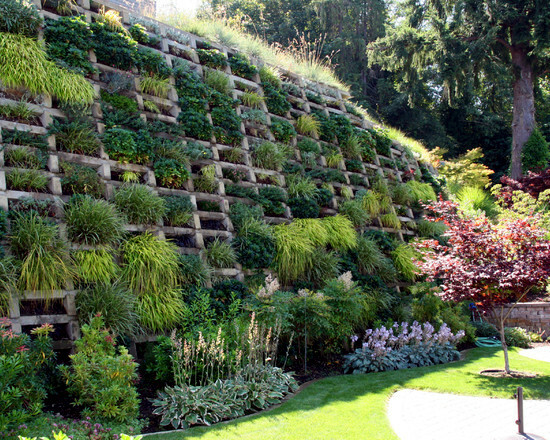 Retaining wall garden with a dense growth of plants.